1. Responsible usage of a credit card is the easiest way to build a good credit score. Despite widespread myths, you don't need to go into debt to have a good credit score. If you use less than 10 percent of your available credit and make your payment on time and in full every month, you will build an excellent credit score over time without paying a dime of interest. Having a good score can help you get the best mortgage and auto insurance rates. In addition, credit scores are used by auto insurance companies in most states to determine your rate. 2. Using a credit card for purchases provides you with much better fraud protection than a debit card. According to Peter Dean, the CEO of Optimizing Risk, the Fair Credit Billing Act only limits your liability to $50 if you report unauthorized use within two days. After two days, your liability increases to $600. After 60 days, you have unlimited liability. 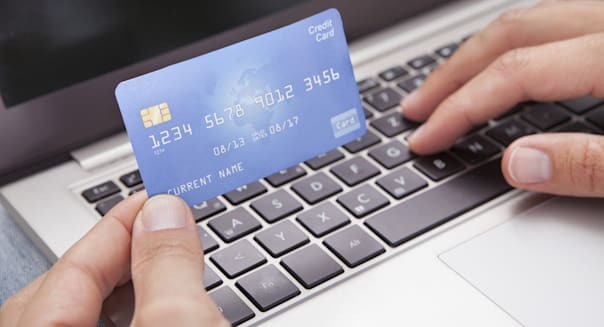 With credit cards, the liability is always capped to $50, and most credit card issuers waive that for marketing purposes. 3. Credit card companies offer a grace period. That means you will never pay interest if you pay your statement balance on time and in full. You are effectively able to borrow money at zero percent every month. 4. You can earn rewards or airline miles with a credit card. It is easy to find a cash back credit card that pays 2 percent unlimited cash back. But you can even find cards with better earn rates. A study by MagnifyMoney has found cards paying 3 percent or more in certain categories. Despite all of these benefits, credit cards can become incredibly expensive when not used properly. Here are the five biggest credit card traps to avoid. 1. You spend more than you should. Credit card companies typically issue limits that are multiples of your monthly gross income. If you make $3,000 a month before taxes, you should not be surprised to receive a credit limit of $6,000 or more. Credit card companies just need to ensure that you can afford to pay the minimum due every month, which is typically 2 percent of the balance. With big limits, it is easy to spend more than you should. Countless studies have shown that people spend more when they use plastic instead of cash. If you don't have the self-discipline to spend only what you can afford to pay in full every month, you can end up in debt very quickly. 2. You pay a much higher interest rate than you should. Interest rates on credit cards are not low. The average interest rate on credit cards is 14 percent, and for people with lower credit scores the rate can be much higher. Personal loans typically have much lower rates than credit cards. You can find some of the best personal loan providers at MagnifyMoney.com, and rates start as low as 4.05 percent. 3. You use your credit card for a cash advance. A cash advance can be very expensive on a credit card. You will typically be charged a fee for the cash advance, which is usually around 5 percent (or a minimum of $10). So, if you take out $500 you would be charged $25 right away. In addition, you wouldn't earn rewards and interest accrues immediately. There is no grace period. Finally, there is a separate cash advance rate that is much higher than a purchase rate. 4. You use your credit card for overdraft protection. Mistakes can happen, and having overdraft protection can be a useful insurance policy. However, linking your credit card can make it a very expensive insurance policy. Most banks would charge you twice. First, the checking account would charge an overdraft transfer fee of $10 to $12. Second, the credit card would charge a cash advance fee, because the overdraft would be treated as a cash advance on the credit card. That means interest would accrue, at a higher interest rate, immediately. It is far better to link a savings account for overdraft protection. Even more importantly, you should just make sure you build a buffer in your checking account. With savings account interest rates so low, you would likely be better off keeping that money in your checking account to avoid an overdraft fee, rather than earning 0.01 percent in your bank's savings account. 5. You pay late. Late fees on credit cards can be shockingly high, typically $30 or more. And you only need to be a day late for most credit card companies to charge you the fee. The good news is that your credit score will likely not be impacted, because most credit card companies only report delinquencies after you are 30 days late. However, you will be wasting a lot of money. Just automate your monthly payment to avoid the fees. If you do become 60 days or more late, your interest rate can increase to a punitive rate, which is usually around 30 percent. If you are responsible, and have self-discipline, a credit card is a wonderful tool that makes it easy and safe to pay all over the world. But if you can't control your spending, a credit card can become dangerously expensive quickly. Make sure you have an honest assessment of yourself before you decide whether to swipe or carry cash. ​Nick Clements is co-founder of MagnifyMoney.com, a price comparison website. Previously, he was a managing director at Barclays.